As a family eye doctor in a central Minnesota community, I see many patients with common eye disorders that may or may not be serious. 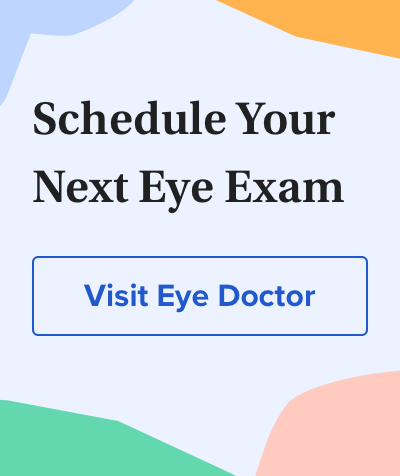 Also, people often will call or e-mail with questions regarding whether a certain symptom, such as eye redness or swollen eyes, warrants a visit to an eye doctor. This page will help you learn the type of eye disorder you may have and what should be done about it. However, it's important to recognize that these guidelines are only an overview and definitely should not replace a consultation with your own eye doctor. Pink eye. If you have kids, you almost certainly know about an eye infection known as pink eye. Adults can get it, too. If the redness is from a form of pink eye known as conjunctivitis, you also will have symptoms such as itching, burning or stinging, eye discharge, swelling, watering — or a combination of the above. Some forms of pink eye are contagious, and some are not. Allergic conjunctivitis, for example, is not contagious. But viral and bacterial forms of pink eye are contagious. So it's best to see your eye doctor or family doctor for diagnosis and possible treatment. Quick Tip: Until you know more about what may be causing your problem, you should avoid rubbing your eyes. Make sure you wash your hands often. For relief, use cool, wet compresses on the outside of your closed eyelids. Eye allergies. Allergies can be seasonal (spring and fall), or they can happen when something irritating (allergen) invades your eyes, like cat dander or fumes. Symptoms of eye allergies include itchy eyes and red, watery and puffy eyes. How your eyes are affected may depend on the time of year and type of plants you have in the area where you live. We Minnesotans tend to have lots of seasonal allergy problems in the spring and fall. But many people can also have year-round allergies because of dust mites, molds, etc. Quick Tip: Try cold, wet compresses on the outside of your closed eyelids. You also may find relief if you take an over-the-counter antihistamine orally. If the allergy continues to annoy you, you may need to see your eye doctor for a prescription to help you deal with symptoms. Broken blood vessel.Tiny blood vessels in the sclera (the white of the eye) can break from straining, lifting, rubbing your eye or for no reason at all. When this happens, the eye becomes bright red from the blood leaking under the clear conjunctiva that covers the sclera. This is called a subconjunctival hemorrhage. A red eye from a subconjunctival hemorrhage looks scary, but usually it is harmless and ordinarily isn't considered an emergency. Quick Tip: To be on the safe side, you should see your eye doctor within a day or two after noticing symptoms to make sure there's no underlying cause for the broken vessel. Otherwise, there really is no treatment other than time for most of these blood leaks. But I always tell my patients to make up a really good story, because everyone will ask them what happened! Eye trauma. Getting hit in the eye can certainly cause redness, along with pain and blurred vision. The eye may be scratched or gouged, but there also could be hidden damage inside the eye, such as a detached retina, which can be very serious and must be treated as quickly as possible. Unless the hit is very light, an eye doctor should treat eye traumas right away. Quick Tip: For some immediate relief, put a very cold compress or ice pack on the injured eye. Avoid rubbing it. If you can't reach your eye doctor, go to an emergency room or urgent care center for help. Almost all eye itching is caused by some sort of allergy. Very often, mild itching can be helped with over-the-counter lubricating eye drops. I'd avoid the ones that take away redness (decongestants), as they can be addictive. You can also use cold compresses or ice packs to help with itchy eyes. Burning eyes can be caused by allergy, dryness, tiredness, vision stress (like computer work) or a combination of the above. Usually, the burning sensation is not an emergency, but you should see your eye doctor if it persists. Quick Tip: Usually, eye burning or stinging can be relieved with over-the-counter lubricating eye drops and rest. Applying cool, moist compresses over your closed eyes also can help. I often help people with rheumatoid arthritis or fibromyalgia (chronic pain throughout the body) who are having related eye pain. Eye pain sometimes is caused by dry eyes, which needs to be treated with over-the-counter or prescription medication. Occasionally, eye pain is caused by something serious, like uveitis. This is an inflammation of the inner eye tissues, like the iris. Again, this type of condition should be treated as soon as possible. Eye pain with blurred vision should be considered an emergency and should be investigated as soon as possible by your eye doctor or by the emergency room/urgent care center. Quick Tip: If your eye pain is dull like a headache in your eye, but there is no redness or blurred vision, this could be caused by overuse, eye strain or even sinus problems. I suggest seeing your doctor only if it doesn't clear up with rest or perhaps some Tylenol or Advil. As we age, the vitreous becomes more fluid and these thread-like strands and shapes move ("float") more easily within the vitreous, which makes them more noticeable. Also, the vitreous can separate or detach from its connection to the retina, causing additional floaters. As a general rule, if you have a few little dots, threads or "bugs" that come and go depending on how tired you are or what kind of lighting you're in, these are normal floaters. But if you suddenly see flashes of light, clouds of floaters, swirly mists or a curtain over part of your vision, it's best to see your eye doctor or go to an emergency room/urgent care center as soon as possible. They'll dilate your pupils to see what's going on inside your eyes and make sure it gets treated if need be. Getting something in your eye seems like it should be an emergency, and it often is. Whether your eye is invaded by a piece of metal, a thorn or sticker or a sharp object, it's critical that you see an eye doctor or an emergency room/urgent care center right away. Don't rub your eye or attempt to remove whatever is in there. You could cause more damage. Loosely tape a paper cup (or eye shield if you have one) over your eye and seek help. Quick Tip: Let's also be practical. Not everything that gets in your eye is serious. We all have little bits of something in our eyes at times. If you know it's just a piece of dust that's irritating your eye, you can try rinsing it with saline solution or using lubricating eye drops. If you are able, try turning your eyelid inside out to see if you can dislodge the particle. If none of these home remedies works, then it's off to the doctor. To learn more about eye problems and related symptoms, visit AllAboutVision.com's resources on Eye Symptoms A to Z or Eye Conditions Home Page.